I would like to buy a sewing and embroidery machine to further my business potential and to enable me to start making money from my hobby. My aim is to be able to promote my business name and start earning money. I would like to start making printed canvas tote bags for life, T-shirt designs, quilt labels and begin up cycling vintage clothing. I only have a basic sewing machine at the moment so to be able to make the projects already mentioned, I need to invest in a more professional sewing and embroidery machine. 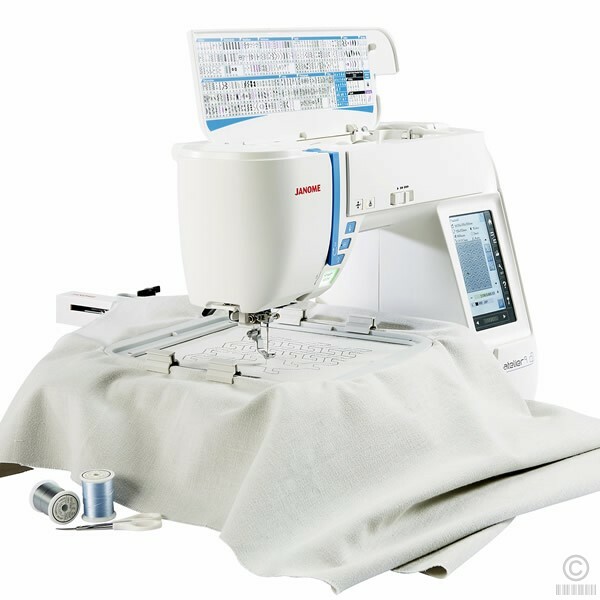 I have my heart set on a Janome Atelier 9. See picture below. I am currently unable to work through ill health and disability so funding a new machine myself is almost impossible. Being able to bring some money into my family's home would give me a renewed sense of purpose. Thank you so very much for taking the time to read about me and plight.